Behold the ultimate list of Valentine’s Day gifts for HIM! 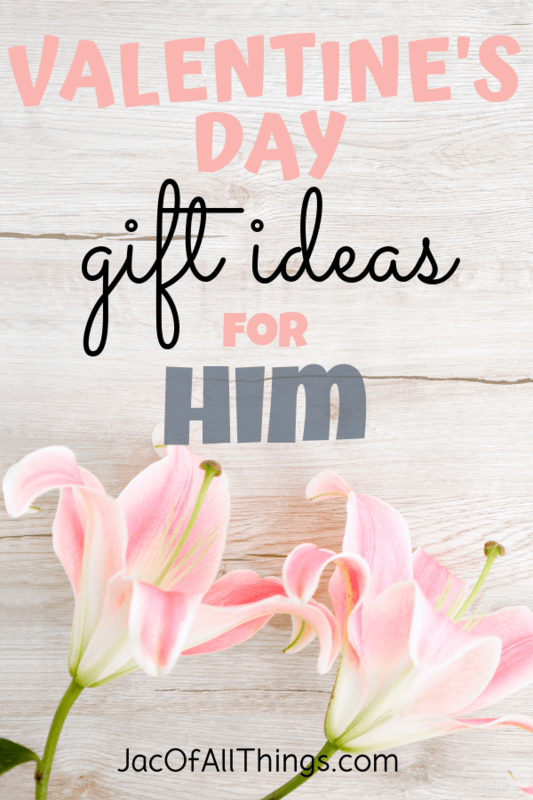 These gifts are perfect for your husband, boyfriend, or special man friend to show a little extra love this Valentine’s Day. 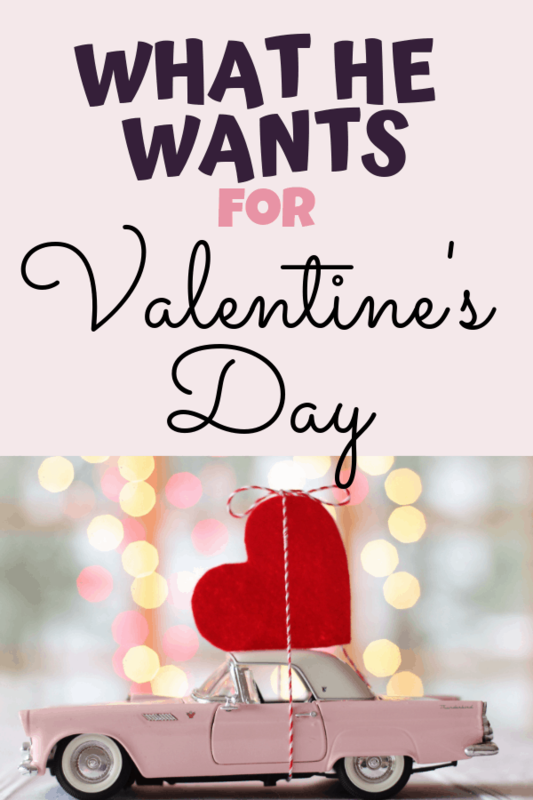 I enlisted the help of my husband to create this list of gift ideas. I figured why not hear from a man directly for the perfect Valentine’s Day gift! Disclosure: I may earn money or products from any of the companies mentioned in this post. 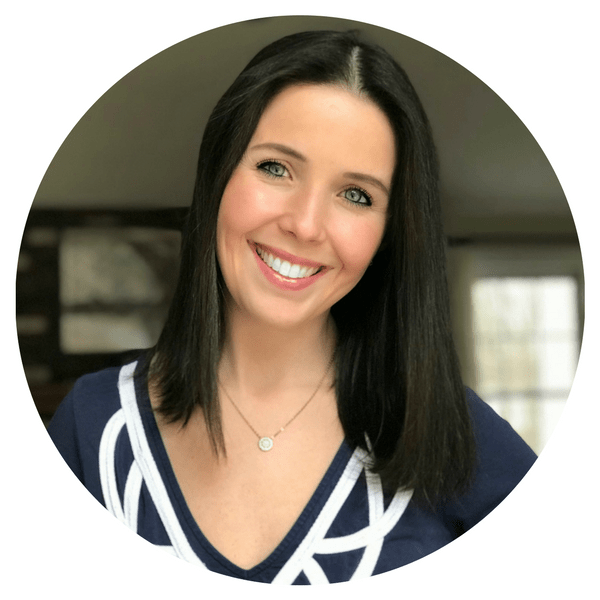 Purchasing through an affiliate link comes at no extra cost to you. As an Amazon Associate I earn from qualifying purchases. For the man who loves time spent together, get him a year of pre-planned dates! 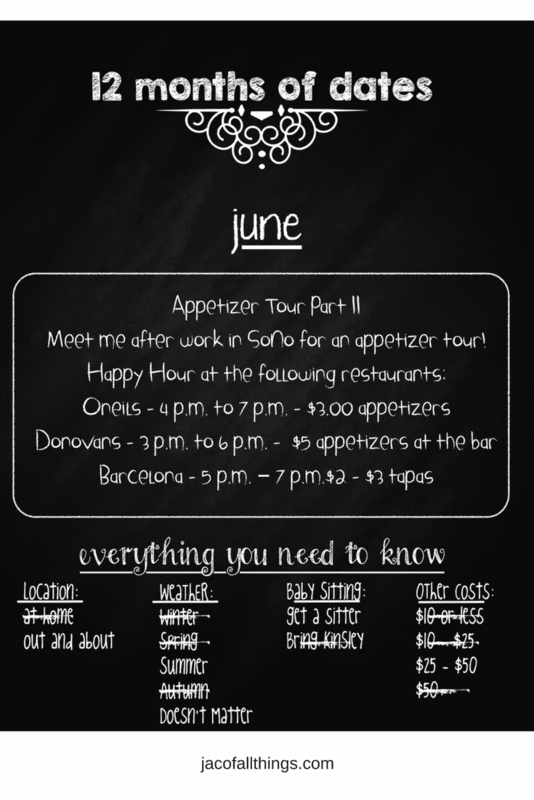 Read more about how to put together 12 Months of Dates here. There are so many great “…of the month” subscription options out there for a perfect Valentine’s Day gift that keeps giving! Does he like craft beer? Get him a beer of the month subscription. Fun socks? There is a sock of the month subscription. There are subscriptions for EVERYTHING! Pizza of the month, BBQ of the month, or even fancy accessories for men “…of the month” subscription ideas. Is the man in your life into craft beer? 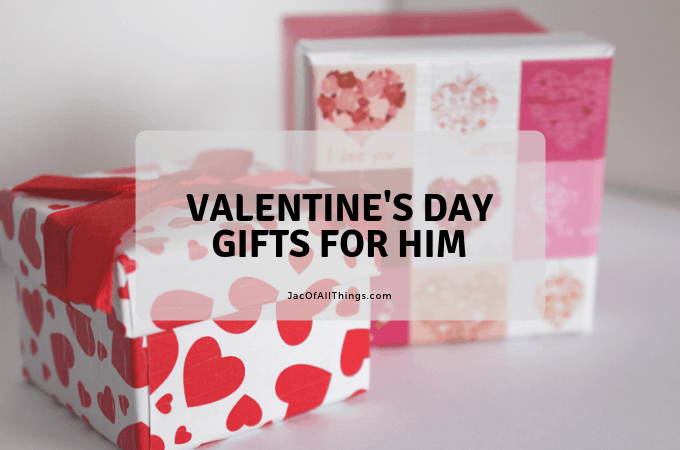 There are SO many fun Valentine’s Day gift ideas for him that he will LOVE! 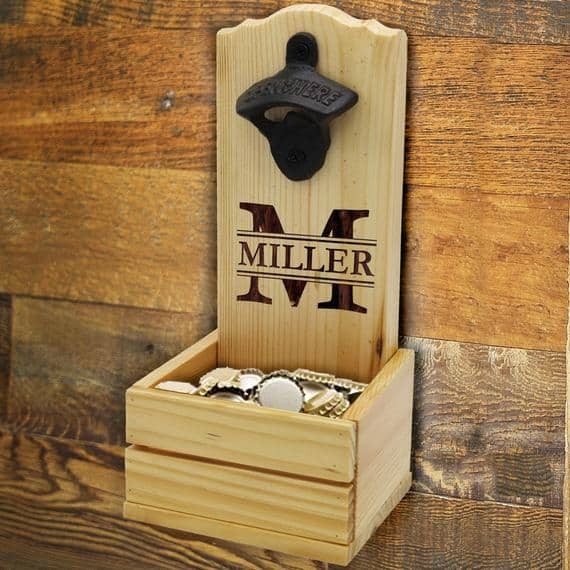 You can get him a personalized beer caddy on Etsy. You can buy him a decommissioned .50 caliber ammunition bottle opener (also from Bottle Breacher) or a wall mount beer opener with cap catcher (from Etsy). Does the man in your life frequently dress up? Get him a set of personalized cuff links for Valentine’s Day. You can even personalize them with a message in your own handwriting or even a fingerprint. You can’t go wrong with a Yeti gift for Valentine’s Day. Depending on your budget (and his preferences) there are options for everyone. Some of my husband’s favorites are the Yeti Rambler, Yeti Wine Tumbler, Yeti Tumbler, and Yeti Bucket. Of course, the coolers are pretty amazing too for a more expensive gift option. Massage gifts are a perfect gift for the man in your life who needs a little extra TLC. Maybe they are looking for recovery after a hard workout, or perhaps they have a strenuous job that leaves them sore. Or maybe they just enjoy being pampered themselves. Either way, these massage-related gifts are perfect for almost everyone! There are several options for the perfect massage gift at different price points. 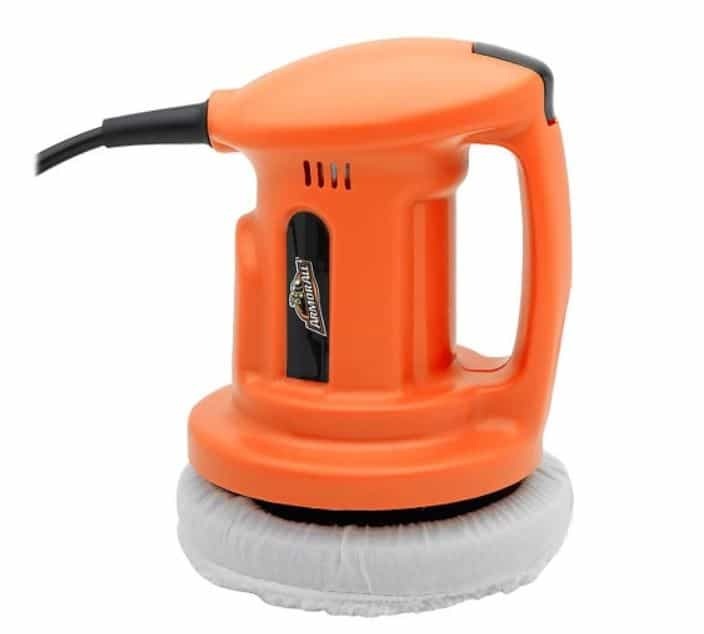 A car buffer is an affordable alternative to a massage device. Prior to getting his Hyperbolt, my husband used a car buffer almost daily after his workouts to relieve muscle tensions and aches. 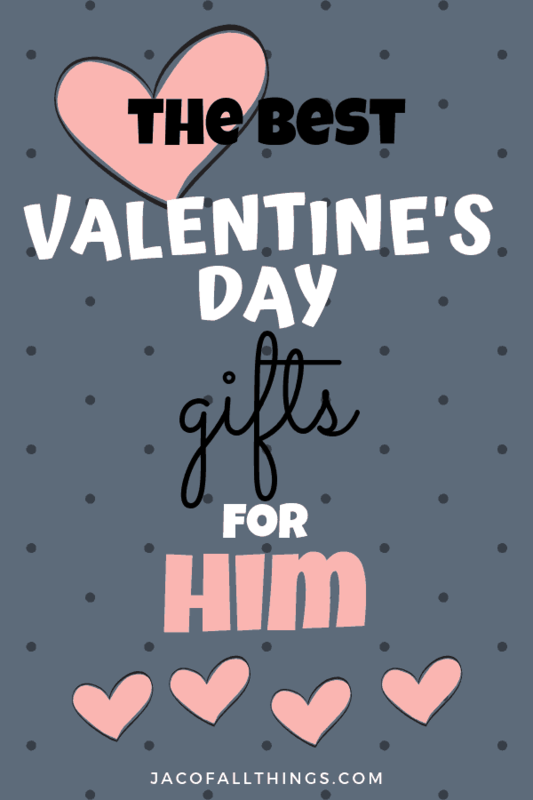 The perfect Valentine’s Day gift for him does not have to be expensive. (It can even be free!) If you are looking for a budget-friendly gift idea that goes a long way, write him love notes to show him how much you care. If you feel like stepping this up a bit, you can get creative with your delivery. You can purchase these affordable mirror markers and leave him a note to wake up to on the bathroom mirror. Or, use these notes pads that outline why you love him today. You can even create a jar of all the reasons why you love him on small pieces of paper, and he can pick out a new paper each time he’d like to read a new one. 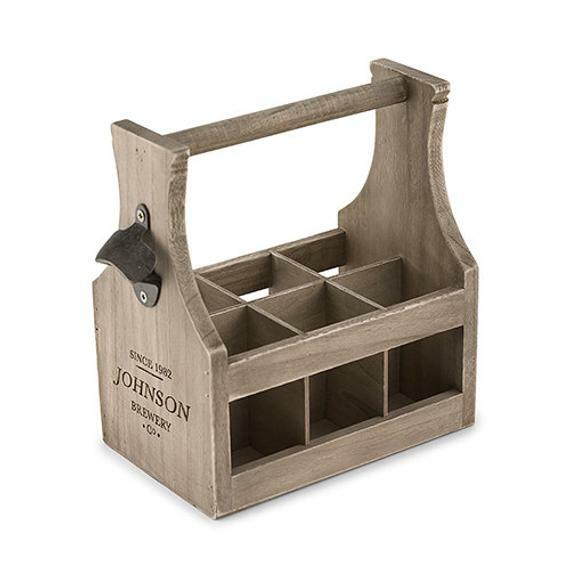 A docking station is a perfect gift for your man to put on their desk or nightstand. 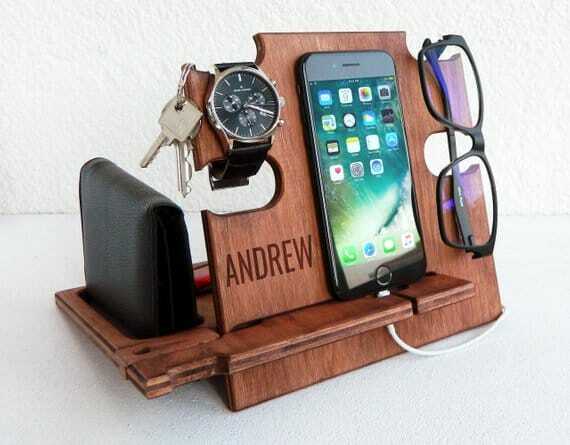 They can keep their phone, glasses, watch, wallet, keys, and more organized and in one convenient place. You can even find several options on Etsy to personalize, like this one from GretaOtoDesign. Get the man in your life a new money clip or wallet for Valentine’s Day! My husband’s personal pick is the Dango T01 Tactical Wallet. It’s slim, rugged, and manly, and still has plenty of space. Is the man in your life a coffee drinker? If so, you must order him Black Riffle Coffee. (It’s really the best!) They roast their coffee daily so you are getting the freshest, high quality coffee. This veteran-owned and operated business knows what they are doing! Give him a gift of fun this Valentine’s Day with an at home dart board. You can reap the benefits of this gift too with endless date nights playing together. While a Go Pro is a more costly gift, it is perfect for the adventurer who wants to capture all of their favorite memories. This rugged and waterproof camera can take amazing pictures and videos of your adventures together. A travel scratch map is the perfect Valentines’s Day gift for the man who loves to travel. This world map helps you track your adventures. Scratch off places you have gone for a fun, colorful display. Cloud 9 Living offers some amazing Experience Gifts that the man in your life will most certainly love. From flying a plane, to driving a super car, to adventures like rafting and zip-lining, to romantic dinner cruises, Cloud 9 Living has experiences for everyone to enjoy. Use Ebates to earn cash back when online shopping. Download the app on your phone. Once in the app, use the scanning feature to scan bar codes in store. It will show you the price of the same item on Amazon so you can compare prices. For more Amazon shopping tips, visit the post 21 Secrets to Shopping on Amazon. Read more holiday shopping tips here.